Member of the Chartered Institute of Linguists. English and French language and cultural tutor for international business executives. Consultant in public affairs, public relations and marketing. Report-writing, copy-editing and proof-reading. I offer bespoke, one-to-one language coaching and language training in English and French to a wide range of private and professional individuals. Please send me an email to michael[at]swithunwells.com for a preliminary conversation. Interpreting at the House of Commons in London on 9 September 2015 for the Home Affairs Committee meeting with the Mayor of Calais. 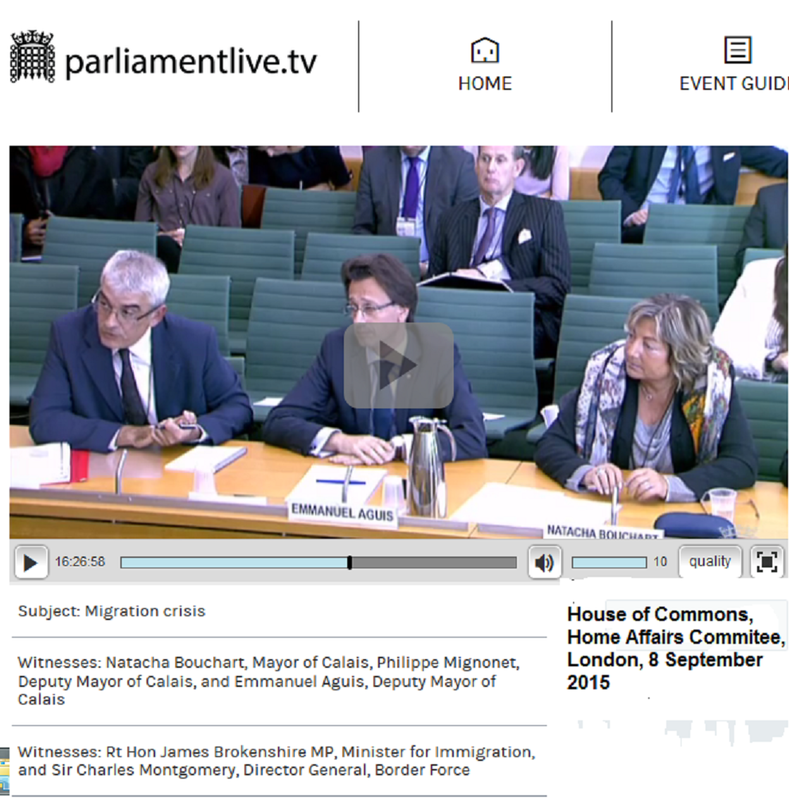 It was streamed live here Browse to 16:05 for the start of the Calais Migration session. At the end of 2011, I drafted a report for the European Parliament on institutional issues and then spent much of 2012 involved in various translation projects (European industrial policy, European history and international investment for UNCTAD). From January to September 2011, I had a good time with Development Media International in London helping set up their exciting media health project in Burkina Faso. TV fixer for Channel 5 (UK) The Gadget Show . I fixed the shoot and interpreted for the crew on a trip to Marseilles, Saint Tropez and Cannes for an upscale episode which mixes the delights of the South of France with some of the latest technology.